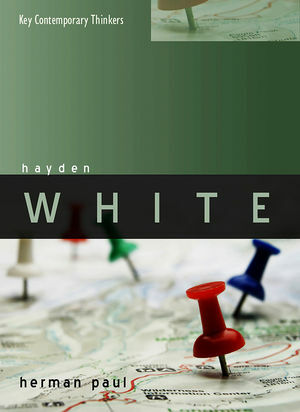 This new book offers a clear and accessible exposition of Hayden White's thought. In an engaging and wide-ranging analysis, Herman Paul discusses White's core ideas and traces the development of these ideas from the mid-1950s to the present. Starting with White's medievalist research and youthful fascination for French existentialism, Paul shows how White became increasingly convinced that historical writing is a moral activity. He goes on to argue that the critical concepts that have secured White's fame – trope, plot, discourse, figural realism – all stem from his desire to explicate the moral claims and perceptions underlying historical writing. White emerges as a passionate thinker, a restless rebel against scientism, and a defender of existentialist humanist values. This innovative introduction will appeal to students and scholars across the humanities, and help develop a critical understanding of an increasingly important thinker. Herman Paul is lecturer in historical theory at Leiden University. Introduction: How to Read Hayden White. 1. Humanist Historicism: The Italian White. The Papal Schism of 1130. The Disenchantment of the World. 2. Liberation Historiography: The Politics of History. 3. The Historical Imagination: Four Modes of Realism. 4. The Power of Discourse: White's Structuralist Adventure. 5. Masks of Meaning: Facing the Sublime. The Content of the Form. Stories Are Not Lived But Told. 6. Figuring History: The Modernist White. "As an introduction to the thought and work of Hayden White, it is hard to see this volume being surpassed for some considerable time." "A thoughtful, comprehensive and much needed introduction to the work of White. It is not only well argued and researched, but also readable and accessible. It should be required reading not only for undergraduate and postgraduate students, but all historians who want to understand how the discipline of history changed over the twentieth century." "Paul has accessibly, lucidly and systematically analysed the development of White’s thought in such a way as to challenge the common understanding of White as a poststructuralist and postmodernist. He has, in short, produced a fine introduction." "Warmly recommended to every historian as a reliable roadmap into the highly relevant quest of this philosopher." "Should be applauded for bringing to bear a much-needed philosophical perspective on Hayden White’s influential and extensive oeuvre." "This study is unlikely to be surpassed in the near future in its scholarly attention to detail." "A useful, and in many ways exemplary, introduction to White’s legacy." "A sharp book on an American intellectual whose work was not that of an outsider throwing rocks at a profession. This essay-review applauds Paul's endeavor." "The most balanced introduction to White’s philosophy of history available." "This book both attests to the importance of Hayden White as a metahistorian and provides a lucid account of his life and thought. It is a well-deserved tribute to the work and the man - a reliable introduction and an invitation to join in the critical dialogue his thought encourages." "In this deeply researched and probing analysis of Hayden White, Herman Paul offers a strikingly novel interpretation of the goals and significance of his theories of historical writing. In contrast to virtually all previous commentators, Paul argues that the core of White's work is not principally concerned with rhetoric and narratology as such but seeks, instead, to offer a form of 'liberation historiography' that can free historians of the 'burden of history,' a concern stemming from White's lifelong embrace of existentialist humanism. Narratology, in Paul's view, achieved prominence in White's thinking because it offered a way to contest positivist history and thus unburden historians of their espousal of naïve realism and fantasies of objectivity."